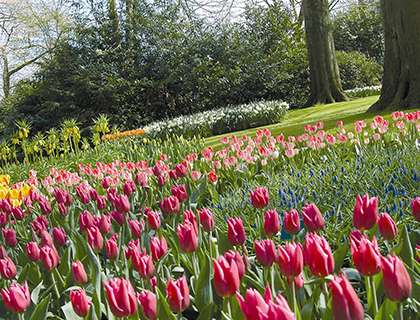 Explore the amazing Keukenhof Gardens and Bulbfields in this fantastic 5-hour tour that starts at 2.45pm. Tour runs between 22nd March and 13th May 2018 only! 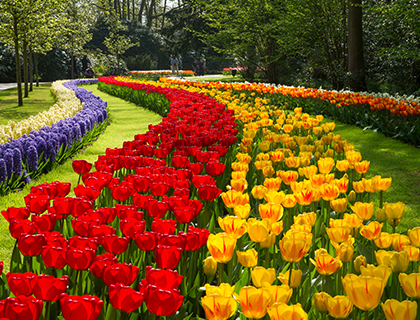 Explore the beautiful Keukenhof Gardens and Bulbfields in this fantastic 5-hour tour. This tour begins at 9am and only runs between 22nd March and 13th May 2018. 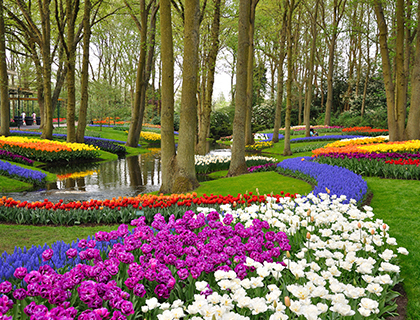 The highlight of this tour is the unique and world-famous Keukenhof, the largest bulb-flower park in the world. 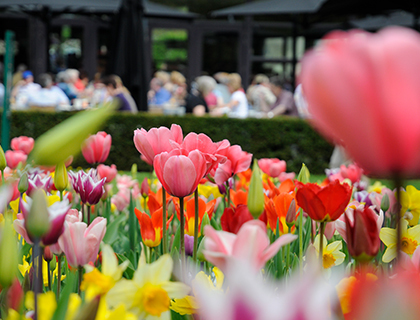 Wander through the Keukenhof and decide which ones you like the best. Be amazed by these inspirational gardens and the various flower shows. Learn all about the history of Keukenhof, how it was first used as a herb garden for Jacqueline, the infamous Countess of Hainaut, and then taken over by rich merchants after her death. It used to be a set of hunting grounds for the Dutch nobility but was transformed into a park in the 19th century by Baron and Baroness Van Pallandt, and finally opened to the public in 1949. The garden is, of course, famous for its flowers—an example of the expertise of Dutch and other European flower-growers. But there’s more to Keukenhof than just flowers. There are also all kinds of demonstrations to make your visit to this beautiful garden even more unforgettable, including parades and workshops. Stop for a traditional Dutch pancake snack at the restaurant, or maybe even try a sweet and delicious caramel stroopwafel. Flowers and delicious Dutch delicacies; what could be better? You will also have the opportunity to order bulbs for your own garden! Tour departs from Damrak 26, Amsterdam. To redeem your voucher you will need to go to the Lindbergh Office at Damrak 26, 1012 LJ Amsterdam, at least 30 mins prior to your tour departure. 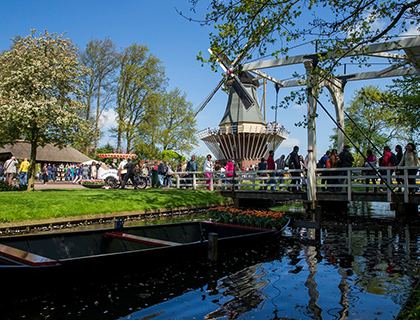 Includes admission to Keukenhof Flowerpark and roundtrip transfer.